In my blog this week, I wrote about the movements of the heavens, time, and human civilization. One of my favorite books on this topic is by Rick Tarnas. Rick was one of my professors during my graduate studies. 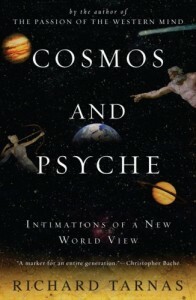 For an amazing journey into the connection between cosmic cycles and archetypal patterns of human experience, check out his book Cosmos and Psyche.